Why Do Some Cats Like Water But Some Hate It? Cats are amazing animals and they usually have interesting personalities that not everyone can handle. While they can be very friendly and enjoy purring by your side, they can also be very aggressive if necessary if they need to defend themselves from someone or something. If you have ever tried to bathe your cat you have probably noticed that they tend to run away as soon as you try to dip them in water. 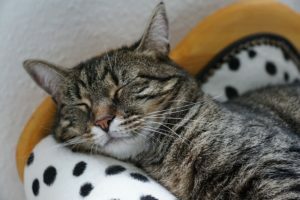 It is a well-known fact that cats are not fond of water and if they suddenly slip into the bathtub, they will quickly run away as far as possible. 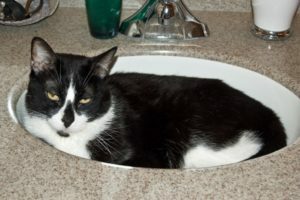 In this article, we will go through the top reasons why cats hate water but we will also focus on those that actually enjoy bathing. We will also provide tips on how to successfully bathe your cat without frightening her with the sound of water splashing. 2 Why Do Some Cats Like Water? Cats are truly interesting creatures but for some reasons they hate getting wet. These reasons vary but we will mention the top three reasons why cats hate water to help you understand your cat’s nature better. One of the major reasons why cats don’t like water is because they don’t like changes. 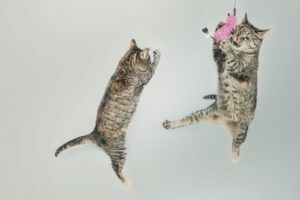 Unlike dogs who like water and new experiences, cats like their routine and if they weren’t exposed to water as kittens, they will probably run away if you try to dip them in water. They are not used to it so naturally they will be afraid. However, if a cat has been exposed to water frequently as a kitten, it may get used to it and accept the fact that you will bathe it from time to time. Cats spend a lot of time sleeping or grooming themselves. In fact, that takes up the most of their day. They are very sensitive to odors and that is why they clean themselves so frequently. Cats groom themselves because they want to get rid of unnatural odors. Bathing them actually creates more work for them as they are not fond of chemicals in tap water. They don’t tolerate anything that doesn’t smell normal on their fur so this is one of the reasons they hate water. The third major reason cats hate water is quite reasonable. They don’t feel comfortable when they are submerged in water because if their fur gets drenched, it weighs them down. Cats do not like this feeling and they will immediately run away if you try to dip them in water. The reasons mentioned above explain why cats hate water. However, there are several other factors that should be considered when trying to answer this question. There are biological reasons as well that can explain why they hate water. Historically speaking, cats have never lived in water. They are descendants of cats that lived in dry areas and so there was no need for cats to learn how to swim. While there are many reasons cats hate water, scientists believe this aversion to water is linked to the early period of domestication of cats as they were shielded from water by their owners. This may be one of the reasons they hate water so inexplicably. Why Do Some Cats Like Water? So far we have talked about why cats hate water and while this is true for most cats, you have to remember that cats are very individualistic and no two cats are the same. Why do some cats like water? They are not all alike as therefore, the same rules don’t apply for all cats. 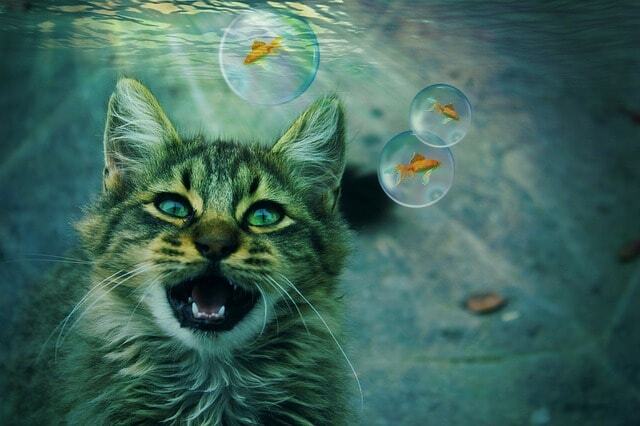 Surprisingly, some cats don’t hate water. In fact, they are very fond of it and they enjoy bathing. It is not uncommon to meet a cat owner who say their cat simply loves water. Cats that live in a hot, dry climate may enjoy bathing because the water is refreshing. They may even swim in it. There are certain cat breeds that enjoy bathing and swimming such as the Turkish Van cat enjoys swimming so much that it became known as “the swimming cat. As cats spend so much time grooming themselves, there is really no need for bathing them. However, if your cats gets dirty for some reason that you absolutely need to bathe it, here are a few tips how to do that. If you expose your cat to water while it’s still young, chances are that it will be accustomed to water and will accept occasional baths without any major scratching and running away. If you have never bathed your cat before and one day you decide to start, you can expect the cat will fight to escape. That is why you should get your kitty used to water while it’s still young. There are a few ways to convince your kitty to take a bath. As the sound of water running and splashing may scare them, you should fill the bathtub first. It will be helpful to use a folded towel to line the bathtub because in that way the cat will have something to grip onto. They tend to get even more afraid and frantic if the floor is slippery. Cats can be fastidious and stubborn but they are very clever and make great companions. 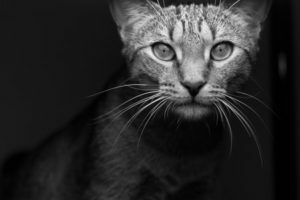 Knowing more about your cat will help you understand its behavior and make them feel safe. If your cat hates water and it doesn’t need bathing for medical reasons or because they get very dirty, bathing your cat shouldn’t be a concern and you can spare it the trauma.